Do you ever feel helpless? Like you have no power to effect change? This week, Piya speaks with people who've been there to discover how they cope with feelings of helplessness in the face of big, global challenges... and deeply personal ones. Kate Schapira often wrestles with feeling powerless about climate change and the fate of our planet. After struggling to have conversations with others about it, and tired of feeling frustrated, she decided to do something about it. Kate sets up an amateur counselling booth at public events and tries to relate to other people who are feeling the same way. We listen in on one of her sessions, and Piya speaks with her about how the project has served to comfort her and strangers alike. Before it sparked global news headlines, Fozia Alvi saw the persecution of Myanmar's Rohingya people first-hand. The Calgary doctor visited refugee camps in Bangladesh on a volunteer mission, thinking she could help the pregnant women who were among those who'd fled. As she tells Piya, the tragic stories, volume of medical needs and lack of resources left her feeling helpless. 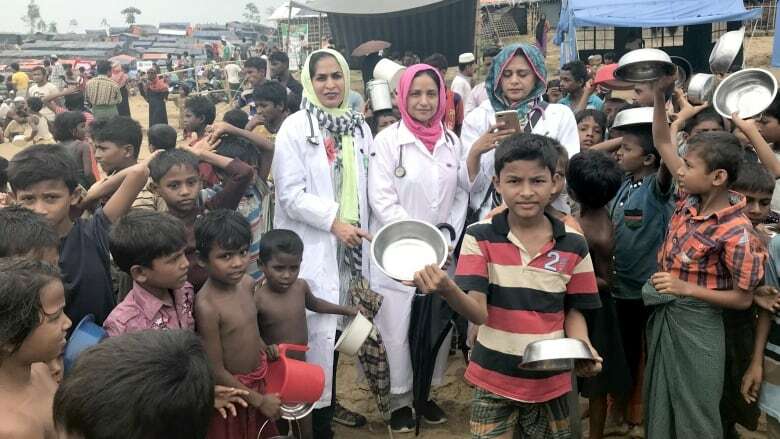 So, she's taken it upon herself to be an outspoken advocate for the Rohingya both in the medical community and on the world stage. Pamela Wible always wanted to be a doctor, just like her parents. But once she got there, she eventually started experiencing depression and suicidal thoughts. In time she discovered such feelings are quite common among doctors. She speaks with Piya about the unique forces that drive doctors to the kinds of dark places she's been, and how she's made it her mission to collect and tell stories of doctor suicides, to raise awareness about the problem and help inspire change in her field. Laurie Brooke spent years trying to help multiple family members who were struggling with addiction. Her only surviving immediate relative is her brother, who continues to suffer from alcoholism, and who she's continued to try helping for years to no avail. But last year, she made a decision to stop. Laurie tells Piya how she's turning years of feeling helpless into a newfound focus on her own mental health and her eight-year-old daughter.